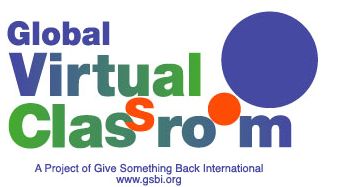 "The Global Virtual Classroom (GVC) is a collection of free, online educational activities and resources. It aims to complement the efforts of governments and educators around the world to integrate technology into their classrooms and curricula and to link their schools to the Internet in educationally productive ways. The GVC vision is to empower, enable, and connect students around the world using Internet technology. "